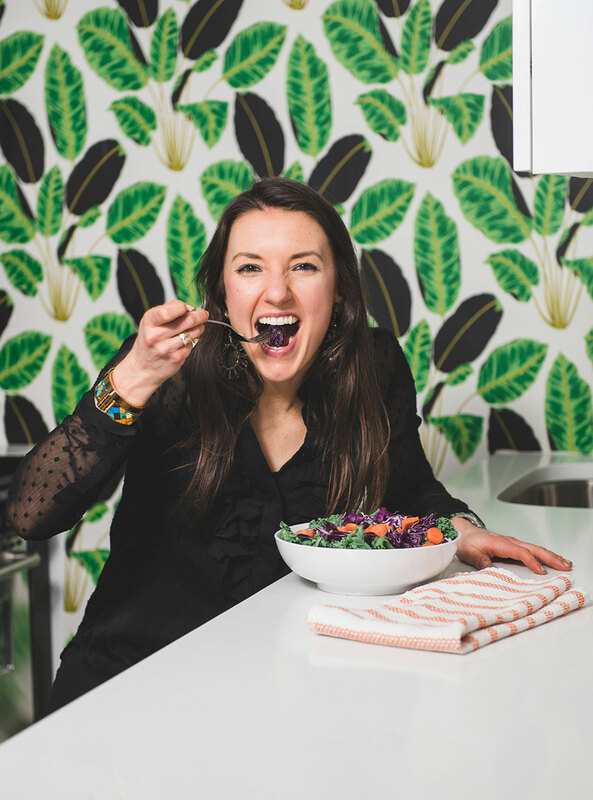 Bowls are our FAVORITE vessel to eat out of! I mean, they do everything a plate does- just better. Breakfast bowls aren’t just limited to oatmeal! While some of us prefer to start the morning off sweet, its nice to change it up with hearty veggies and healthy fats. 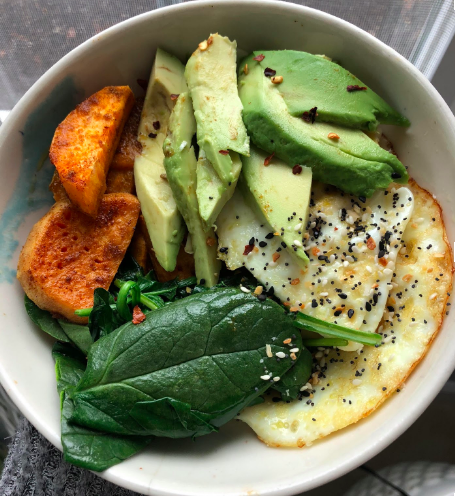 If you want to begin your day eating clean, then our Savory Sweet Potato Breakfast Bowl created by our wonderful intern, Kathleen, is the perfect recipe for you. It’s full of protein, fiber, healthy fats, and greens, which keep you full throughout the day. Eggs and avocados are my two favorite super foods that offer a TON of health benefits, and pair perfectly together. The spinach and sweet potato balance out the dish, making a well-rounded nourishing meal. One pro-tip for people short on time especially in the morning is to prep your potatoes the night before, making the total time to cook A LOT shorter!